Why Choose Saint Rose for a Master's Degree in Curriculum and Instruction? 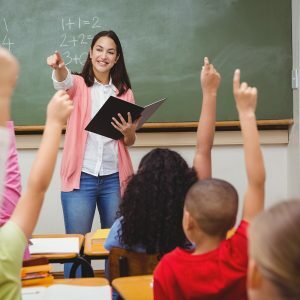 Recognizing the need teachers have for obtaining a master’s degree that includes advanced training, The College of Saint Rose has developed a 30-credit master’s degree in Curriculum and Instruction that offers academic flexibility and options to customize with Content Cores. The Master of Science in Curriculum and Instruction enables those with an initial teaching certification in early childhood, childhood or adolescence education to earn the master’s degree they need for NYS professional certification. The program encourages the development of education professionals who are reflective practitioners, able to link content, theory, and practice, and able to create effective learning environments for children and adolescents with a full range of abilities and backgrounds. The program requires completion of course work in the Research Core (a minimum of 6 credits) and the Pedagogy Core (12 credits). For the remaining 12 credits, we offer 12-credit Content Cores that give teachers the freedom to tailor the degree to their own career goals and aspirations. Second initial certification in early childhood education (birth-grade 2) for those with childhood certification. Second initial certification in childhood (elementary) education (grades 1-6) for those with early childhood certification. Grade 5-6 content area extension to current certification. Grade 7-9 content area extension to current certification. In-depth study within one’s current area of certification through a wide choice of electives. Students also complete a portfolio. They are supported in this process with EDU 501 (0 credits) during their first semester and EDU 556 (0 credits) during their final semester. Applicants are encouraged to investigate Master’s degrees in education that will match their professional goals and New York State Education Department’s requirements for professional certification.